You are welcome to visit the worm farm to see the worms in action. 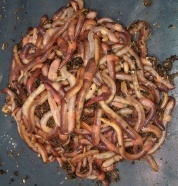 Worms are wonderful creatures that have spent millenia aerating, tilling and fertilising the soil. There are more than 2,000 species of earthworm and they are found all over the world, different species perform different functions. 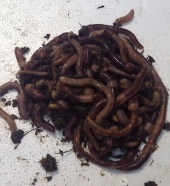 The worms that we supply here on Bubble House Worm Farm are all native to these shores and they all play their part in soil improvement. Deep burrowing Lumbricus terrestris is the species that you want if the aim is to improve the texture and fertility of your soil. 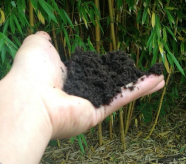 For composting and wormeries we supply a mixture of three of the best composting worms, Eisenia fetida, Lumbricus rubellus and Dendrobaena venata. 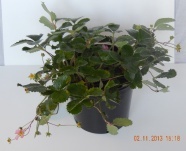 They all have slightly different likes and dislikes with regard to food and environment and we have discovered that a mix of the three works best for vermicomposting and luckily they cohabit perfectly happily. All our worms are hand harvested and sent to you in a bag in a box with plenty of safe bedding.Safe bedding is an environment the worms feel at home in, this means they travel well and arrive to you in peak condition. Alternatively they will live happily in their bag for a month or so as the bedding contains plenty of nutrients to keep them going. 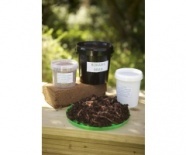 The bedding also contains all the micro-organisms that are needed to get your worm composting off to a great start.